Only Bones is an award-winning production by New Zealanders Thomas Monckton and Gemma Tweedie, and Finland’s Kallo Collective. Monckton’s stage is one metre square. There’s a chair, a lamp and a circle painted on the floor. 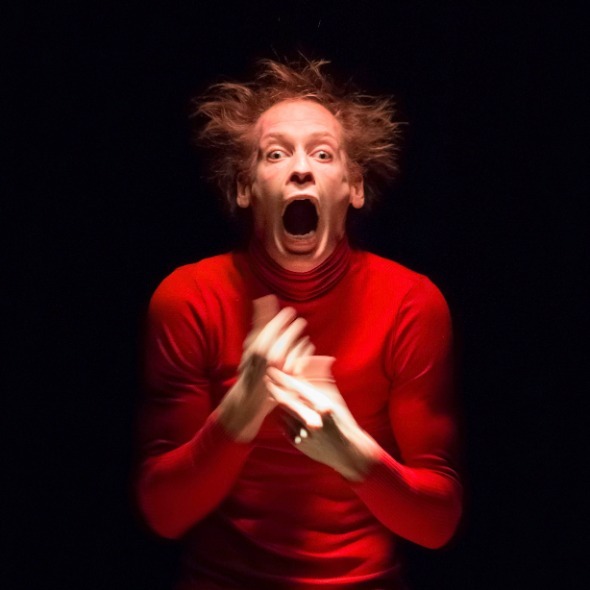 With its quirky, low-tech aesthetic and using just his bendy, wiggling hands and seemingly uncontrollable face, Monckton creates an exquisite piece of micro-physical theatre unlike anything you’ve seen before.?? Only Bones premiered in Lapland before delighting audiences at the 2016 Edinburgh Fringe. It has featured in an art museum in Mexico City, in a converted prison camp in French Guiana, and in 14 different countries around the world.